Volunteers on this project are taught how to scuba dive up to Advanced Open Water level, then receive training on reef and seahorse survey techniques. 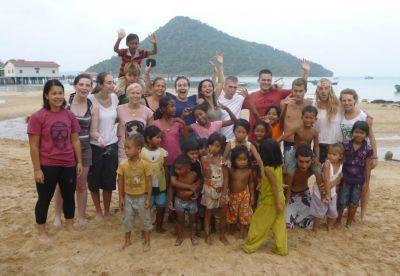 They also work with the local villagers on community projects and beach clean-ups. If you join us during April, as well as having the usual volunteer experience, of learning to dive, living on a tropical island, joining in with the conservation work and meeting fantastic volunteers and staff from all over the world, you’ll also get to join in with the Khmer New Year celebrations which run from Friday 13th – Monday 16th April. 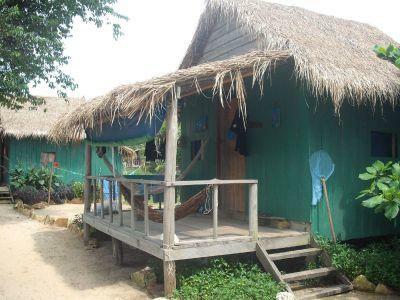 This celebration is the biggest vacation in Cambodia and the whole village will join together for several days of traditional (and possibly not so traditional) festivities! “Last week the Chief of the village went to a meeting in Phnom Penh and was told that our village was the number one village in Cambodia! The reefs surrounding the islands are now partially protected (so only locals can fish there and no commercial fishing is allowed). All the data we collect that tracks the species, their populations and the coral/plant life is being submitted to the government to eventually turn this island and its surrounding waters into a completely protected national marine park! This is in the very near future! Although I was only in Cambodia for a short time, it is pretty rewarding to know that I was a small part of this giant success.